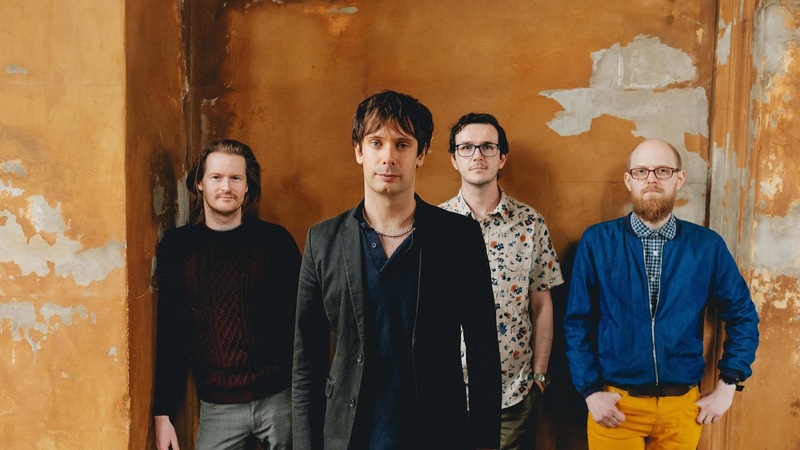 Quiet as a Mouse are an Edinburgh based indie/alternative band formed by Alex Moran (Singer/Songwriter), Darren Irwin (Lead Guitar), Eamon Gilson (Guitar) and Martin Patrick (Bass) and Graham Longbottom (Drums) in 2012. The group’s live reputation has quickly grown as QAAM have supported Hinds (Deers), The Orwells, Palma Violets, The Big Moon, The Orielles, Coasts and The Crookes. Their first batch of London shows were with Club Fandango at Bull & Gate & Buffalo Bar as well as headlining Birthdays and The Old Blue Last. These outstanding performances have earned them “Gig of the Day” from Ruth Kilpatrick at Amazing Radio, airplay support from Tom Robinson (BBC 6 Music), Vic Galloway (BBC Radio Scotland), Chris Martin, Charlie Ashcroft and Jim Gellaty at Amazing Radio. On the back of the free download track ‘An Accident Waiting To Happen (Awoo Woo Woo)’ the band released their debut single ‘Home Is The Hardest Place To Find’ in August 2013. 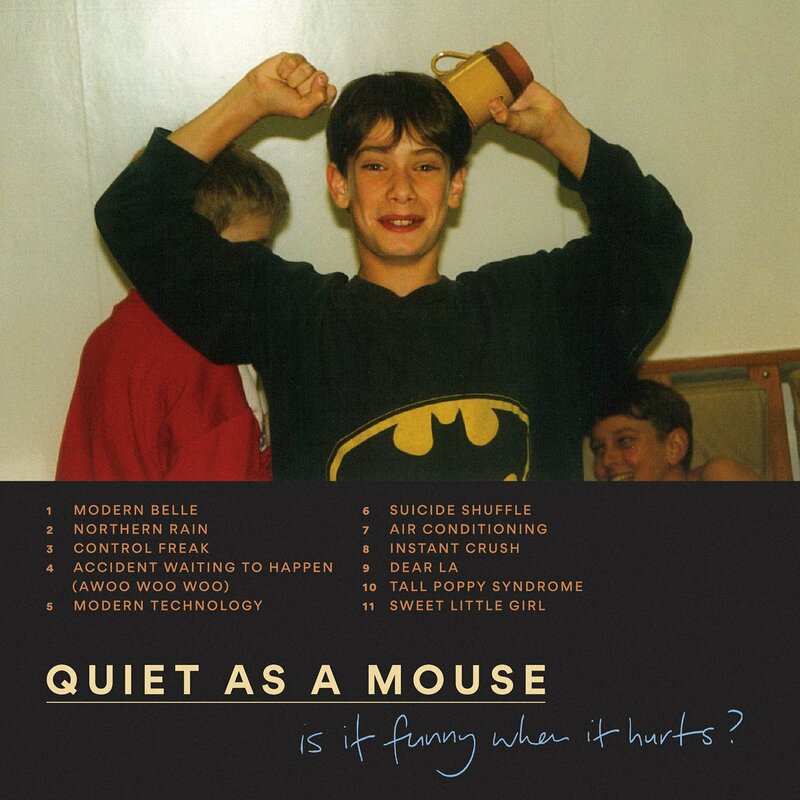 Quiet as a Mouse released their next single ‘Casketcase’ in February 2014. ‘Casketcase’ like ‘Home Is The Hardest Place To Find’ was produced by Marcus Mackay (Frightened Rabbit & Snow Patrol) and mastered by Chris Potter (Arctic Monkeys). In August 2014 QAAM released their debut EP ‘British Flag’ which was engineered and mixed by Liam Watson (The White Stripes ‘Elephant’) at Toerag Studios (Metronomy, Tame Impala & The Wytches) in London and mastered by Noel Summerville (The Clash & Aphex Twin). The band released their 2nd EP ‘Memorybox’ (recorded at Ca Va in Glasgow) in April 2015, which was coincided with launch shows in Edinburgh, Glasgow & London. Quiet as a Mouse are releasing their debut album 'Is It Funny When It Hurts?' (Part funded by Creative Scotland and produced by Kris Pohl (Idlewild) at Post Electric Studio in Leith) on 27th April 2018. 'Home Is The Hardest Place To Find' was selected by The Herald's Martin Williams as the 51st best song of 2013 and 27th best Scottish song of 2013 calling it "Majestic offkilter alterno-indie."